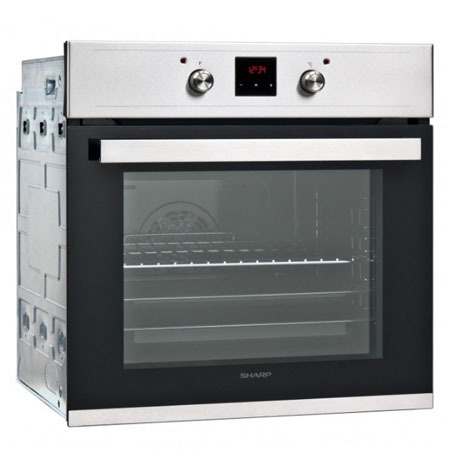 This Sharp single oven, boasts a modern and stylish look with its stainless steel fascia and black glass door. Featuring a programmable LED display and timer you can ensure that everything from your cooking to your baking goes without a hitch every time. 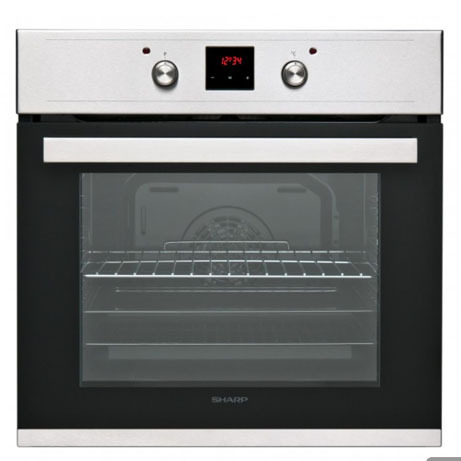 This Sharp single oven benefits from anti finger print coating on the stainless steel areas and control dials that pop in and out giving it a super sleek look. 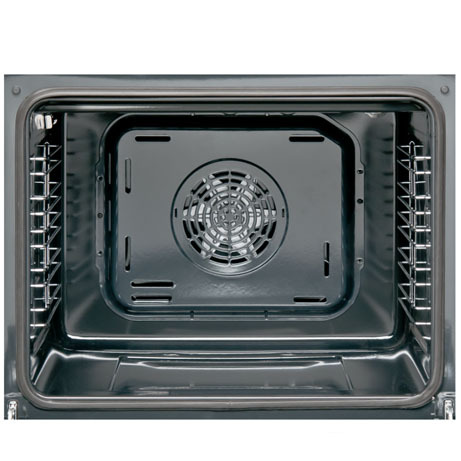 It features a fantastic multi function oven with a setting for every occasion and multiple positions that the shelves and baking trays can sit on. 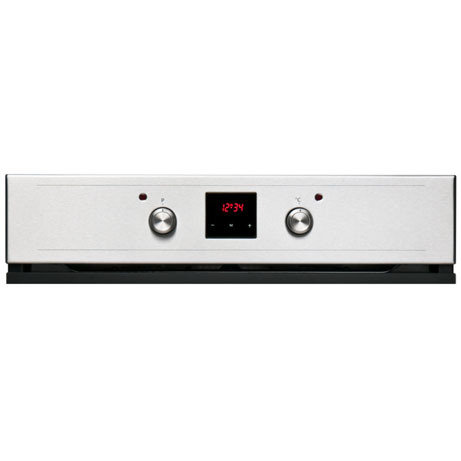 The touch control timer allows you to program the oven to come on at a later time and then turn itself off at the time you set so that you can have a perfectly cooked meal ready for when you get home from work or doing the shopping. 5 Year Parts and Labour Guarantee! 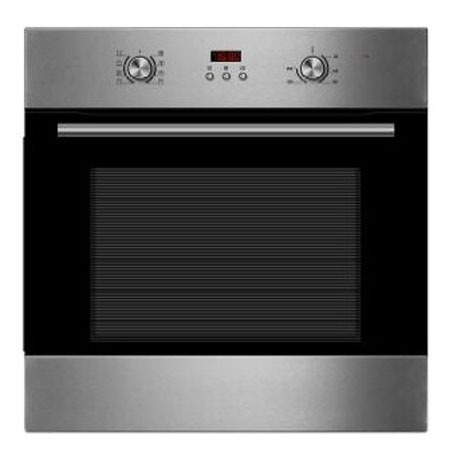 With a market leading 5 year parts and labour guarantee, this sharp oven will give you years of happy cooking. 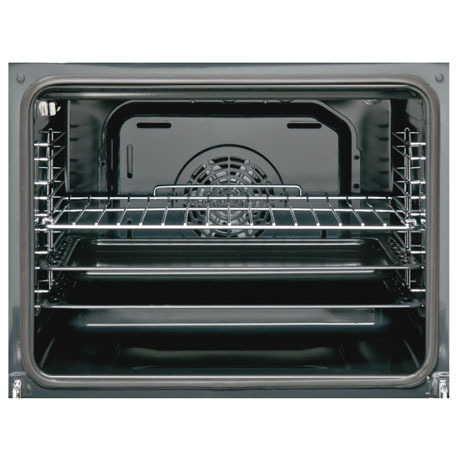 Sharp are so sure that this oven is as reliable as it is stylish, they guarantee it!